As a toddler we had no problem saying no. We said it all the time. Our ‘no’ muscle was ripped! But over time our friends, family, and powerful marketers convinced us that saying no was unpleasant. “Why say no when yes feels so good or everyone is doing it, done it, and has it” are the catch phrases of the yes movement. These powerful forces have created severe muscle atrophy in you. Let’s get that ‘no’ muscle ripped again! Don’t neglect your most important muscle. 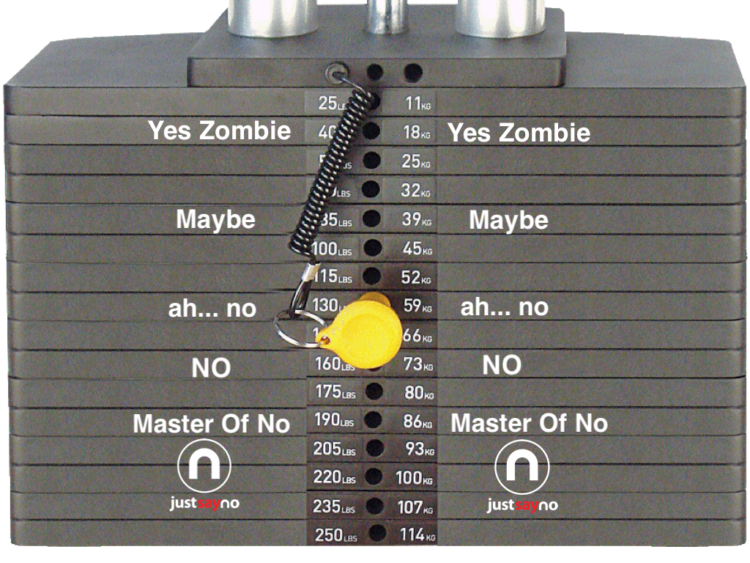 So how do you actually strengthen your ‘no’ muscle? By simply knowing who you are, what you truly desire, and a little mind training. It’s really not that hard, but I understand this can be challenging as most of you are still yes zombies. Try these 6 Tips. 1. Focus On Saying No. Set aside just ten minutes each day to focus completely on things you want to say no to. Write them down and concentrate on them. 2. Visualize Yourself Saying No. Create a video in your mind of you saying no to something or somebody and keep replaying it over and over. 3. Slowdown. Separate yourself from today’s “instant gratification” crowd and relax. Advertisers want you to make an immediate decision because if you truly thought about it for a few minutes most likely you’d say no. Calm and cool heads prevail in decision making. Take your time to think or mediate on it. You’ll be happy you did. 4. Eat Healthy. Proper nourishment and the right supplements help your mind thus helps your ‘no’ muscle. 5. Exercise. Yes, some physical exercise will help. Studies show regular activity improves decision making. A strong body equals a strong mind. And it takes strength to just say no. 6. Get Some Sleep. Yes zombies have terrible sleep habits and are ripe pickens for late night infomercials. Six to eight hours of healthy sleep will have you saying no like a toddler again.